It was my 37th birthday and I went to see my doctor as I was feeling generally unwell. He did routine tests which all were normal. He then told me to step on the scales and be weighed. This was something I was dreading as I had not weighed myself for a couple of years. When he told me I was over 17 & 1/2 stone, I was shocked. I am only 5ft 3 and couldn’t believe I had put on so much weight. 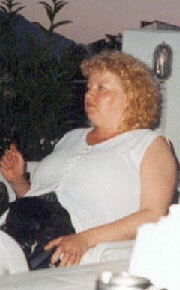 I had never been slim and even when I was a teenager I weighed 12 stone and wore size 18 clothes. I have 3 children, at that time my daughter was 9 and my twin sons were 6. I didn’t really have a social life. I had a full time job and was kept busy at home with housework, homework and trying to get sleep. I think I turned to the fridge and just ate to make myself feel happy. I permanently had a headache and had no energy, I was finding it hard to find clothes to fit me and was creeping up to a size 26/28. I decided I had to do something about my weight and health in general and very bravely searched on the internet under “hypnotherapy and weight loss”. I found a hypnotherapist in my area and sent a very brief email explaining that I wanted to lose weight. I didn’t think much more about it and then the following day an email reply came back from Neil Robinson. He asked for some more background to my life and I sat down to reply. It was only as I was about to hit “send” that I re-read my life history and realised I was very unhappy with my life and had lost my identity and didn’t have a life of my own. I sent the email and waited. Neil sent me a reply almost immediately asking me to come and visit him. I didn’t know what to expect and had only seen people hypnotised on the television and was very anxious about visiting him but I was so determined to lose weight that I arranged a visit the following week. From this point on there was no looking back, Neil sat and talked to me about how I felt and said that I could lose weight and feel good about myself if I really wanted to. I sat and talked and talked and cried from time to time. He listened to what I was saying. He took time to explain how hypnotherapy works which allayed all my anxieties and preconceptions. He said I would become very relaxed and enjoy it. After all the talking my first hypnotherapy session lasted about an hour but I felt like it was only 10 minutes. I arranged another visit for the following week, and left his office feeling on top of the world feeling that a great burden had been lifted. I felt like I was floating on air! Neil had told me under hypnosis that I would never diet again because the word "diet" is a negative word - it threatens the denial of food which can bring about starvation and then overeating and excess weight gain. Hypnotherapy retrains eating habits, generates satisfaction that leads to relaxation creating a slim attractive body, a relaxed mind and a satiated spirit. Those words rang in my soul for that first week - and still do. Even before my next visit I realised I could change things and started to eat healthy foods. Before I had never eaten breakfast, but just snacked all day and ate lots of fatty foods. In all my previous attempts to lose weight I had just ending up feeling hungry and miserable and ended up yo-yo dieting, but after visiting Neil I didn’t feel the urge to binge eat or snack anymore. This was so painless and I felt completely in control of my life again and I didn't need to 'comfort eat' any more. I started having 2 slices of wholemeal toast for breakfast, fruit midday, a light low fat lunch and a cooked meal with lots of veg and no potatoes for dinner. After a month, my headaches had stopped and my energy levels had increased. I started to pay more attention to myself and treat myself to new clothes and make up. Then I started exercising twice a week at a dance class and before long I noticed my clothes were becoming baggy. I started buying a new wardrobe of clothes in smaller sizes and every few months I realised they were getting too big for me too! Then it was back to the shops again. I hadn’t mentioned to anyone that I had been to a hypnotherapist or that I was on a healthy eating plan. It was about 3 months after I started that friends began to ask if I was losing weight. That gave me even more of a boost and I have continued on my healthy eating and exercise routine. Now it's just about a year since I started and I am now wearing size 12 bottoms and size 14 tops and still going down. One rule I had given myself was that I would not weigh myself. In the past I had dieted hard and then become disheartened when I weighed myself and hadn’t lost any weight. Last week, for the first time since my visit to the doctors, in February last year, I asked a close friend to weigh me but not to tell me my weight if it was over 12 stone. I could not believe my ears when she said I now weigh just over 10 stone. Bearing in mind that I have never been under 12 stone, not even as a teenager, I was thrilled. Just about everyday I meet people and they comment on the new me and how I look like a completely different person. They want to know how I did it so this is my chance to let them know how the power of the mind and being in the care of a skilled hypnotherapist like Neil has changed my life. I now feel great about myself, have a full and active social life and have made lots of new friends. In a remarkably short space of time my whole attitude to life has changed. Neil's taught me how to live for the moment rather than anticipate the negative things that might happen. I'm willing to risk failure and as a result I'm far more confident. My career's looking up already and I feel attractive and positive about the future. As a result of hypnosis, my attitude to food has changed entirely and I've lost weight without any effort at all - a long habit of comfort eating has vanished overnight.